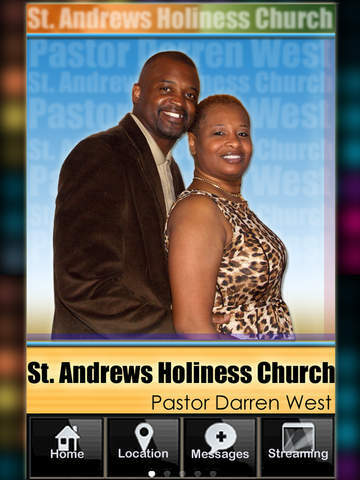 Welcome to the Official Mobile App of Pastor Darren West and St. Andrews Holiness Church located in Brunswick, Georgia! 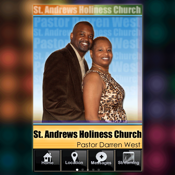 With this mobile app you can stay connected and informed with exciting activities and events at St. Andrews. 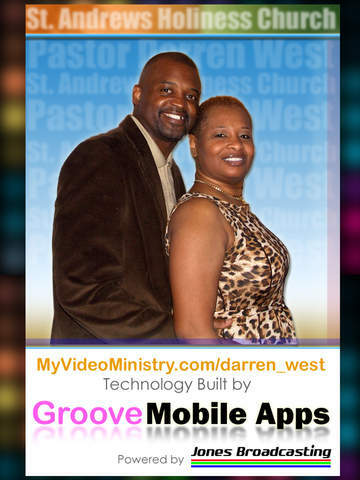 Within our app you can have access to many things including mVm LIVE Video Streaming, Mobile Giving, Special Real-Time Messages, Prayer request and much more. Download today!